~The Art of Life~: He Did It!! ~~Well, not only did Dustin finish, he did it in smokin' time! My heart is filled with gratitude to God this morning. The weather was perfect. The best we could have asked for. It was not too hot, not too cold and the wind was calm. (Unusual for these parts.) The water was actually smooth. When Dustin attempted the race in 2006 the weather was bad. It was cold and very windy. The water was so choppy that no-one could see where they were going over the waves and kept crashing into each other and going all over. The athletes still talk about how hard '06 was. 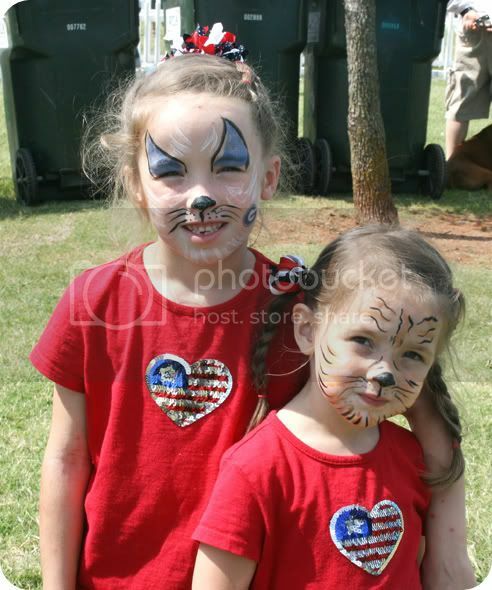 ~~The girls and I got to the race a little before Dustin exited the swim. 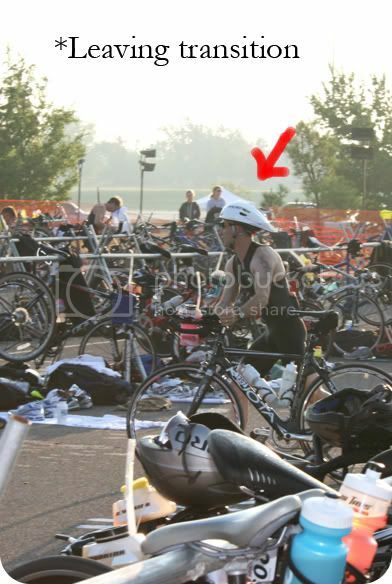 When he came out of the water we were cheering and screaming and we raced over to the transition to watch him head out on the bike. 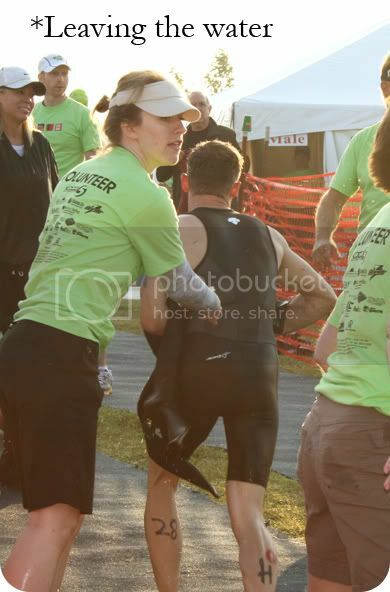 I could tell that he was looking strong when he came out of the water and I immediately felt better. I could breathe again and I knew that he was going to be okay. ~~Once he left on the bike the girls and I had about 5 hours to occupy ourselves so we left the race, had breakfast and then wandered around through some stores . We had lunch and got back to the race area to wait by the finish line. 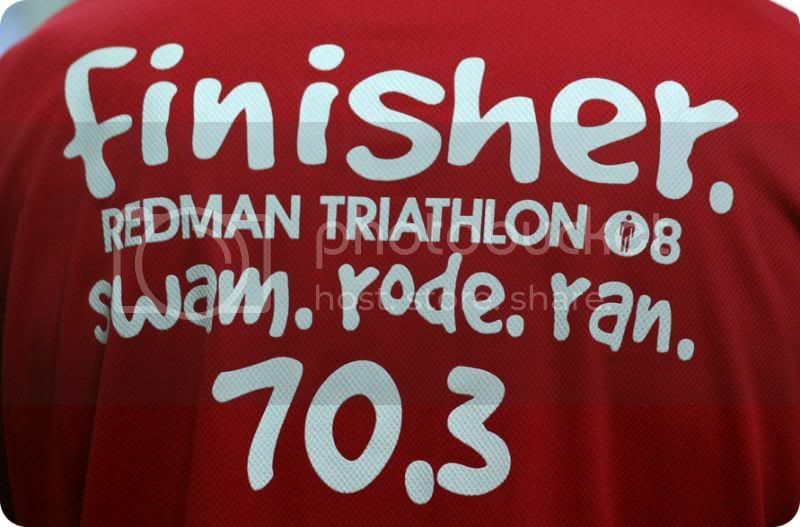 ~~I have to say that the amount of planning, thought and volunteer work that goes into this race is incredible. They really think about the families of the athletes. 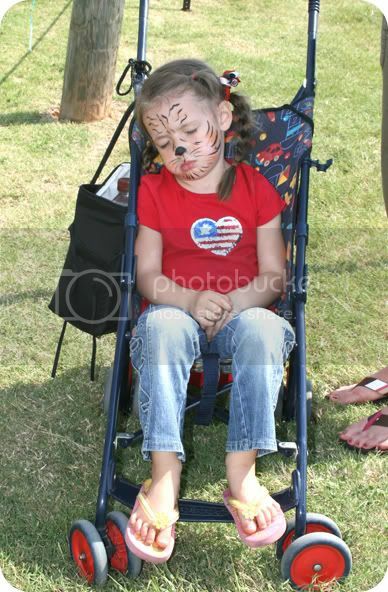 There was a clown to paint the kid's faces and a huge inflatable slide that was a big hit. The girls and I pretty much camped out at the slide while we were waiting and they were happy to go down over and over again! ~~I wasn't prepared for the wave of emotion that hit me as he finished. I started to cry. This race meant so much to all of us. Two years ago was hard and yet it was one of those life-changing moments in time. I can look back and see how God used that time to strengthen and guide us as a family. Dustin's sickness was one of the main things that helped me to get back to my art, as strange as it sounds. It's a bit of a long story that I'll have to share sometime. As he crossed the line the announcer mentioned him getting hypothermia before and said "Well you've made it this time and you're looking strong!" ~~I just truly want to thank all of you who have been so encouraging and who prayed for us during this time. God is good and we give Him all the glory. 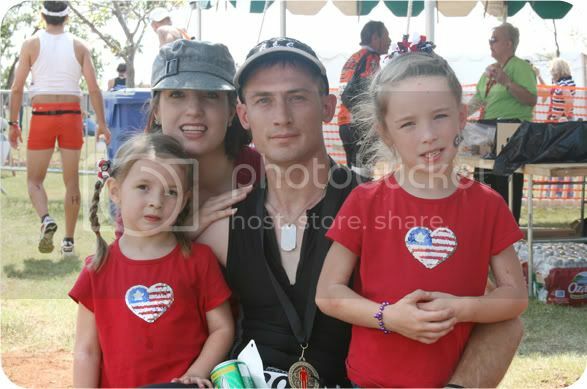 ~~And if you ever wondered how we feel after a race? Congratulations, Dustin!! I am so happy for you all. You had me tearing up! LOL! So glad you made it safely. Gosh I miss you guys!!! I'm sitting here crying at the computer! I'm so proud of Dustin for facing this race again and not only coming out on top but finishing so well!! Congrats, friend! Ooh Congratulations! Wow he placed really well! 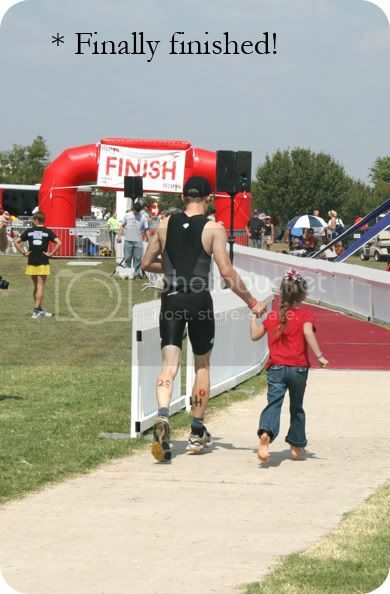 That must have been fun for Sierra to go running across the finish line with him...the picture is perfect! Way to go! We remember all to well last time. We are so happy for all of you. I wish we could have been there to cheer him on. Miss you all so much. Hug those adorable girls for me. Super congratulations to Dustin! Congratulations to all of you. Great job and great photos. Wow, that's just great, a super achievement, Congratulations to your hubby and you three girls for such great support. That love and support is what gives him such great motivation I'm sure!